The federal government issued the Home and Community Based Services (HCBS) Settings Rule called the HCBS Advocacy Coalition.Settings Rule in 2014 to ensure that all people receiving Medicaid-funded HCBS have full access to the benefits of community living. Over the last three years, our coalition has worked collaboratively with federal agencies, states, and disability and aging stakeholders to ensure that implementation of the Rule fulfills its intent to ensure opportunities for community integration for all people receiving Medicaid-funded HCBS services. Throughout this process, the HCBS Advocacy coalition has offered resources and feedback to ensure the Rule is implemented with integrity and that HCBS services are strengthened and promote a meaningful life integrated in the community. WHAT THEY DO: As they meet with newly appointed high-level officials in the Trump Administration that are charged with implementing the HCBS Settings Rule, they continue to offer the expertise of the coalition. In order to strengthen their message, they need one key thing for these meetings – YOUR STORIES! WHAT THEY NEED: They need to share REAL stories, YOUR stories. Tell them about how you — as a person who receives HCBS services, a family member, friend or provider — have seen an improved quality of life, more independence, and more opportunities because of Medicaid-funded HCBS services. Tell them about your life in the community and about what participating in your community means to you. 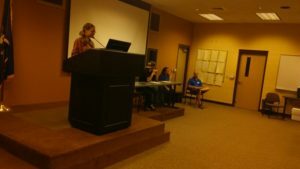 They particularly encourage stories from people who have transitioned to the community from an institution and from people with significant support needs. HOW THEY WILL USE YOUR STORIES: They will use these stories to advocate for the strong implementation of the HCBS Settings Rule in your state, to protect the funding of HCBS services, and to make sure that people in leadership positions the federal government know how important and successful HCBS services are as they make policy decisions about community programs. HOW TO WEIGH IN: Please send your story (500 words or less) and a photo (optional) to hcbsadvocacy@gmail.com Tell them what state you live in, whether you/your family member/friend/client receive HCBS for aging or disability services, what types of services you receive (help with work, getting dressed, shopping, etc. ), how it has improved your/their quality of life, and anything else you want to share about the value of home and community-based services. For more information about the HCBS Advocacy Coalition and the HCBS settings rule, visit www.hcbsadvocacy.org. THANK YOU! YOUR VOICE IS SO IMPORTANT AND WE WILL RAISE IT! WOW…What a day! 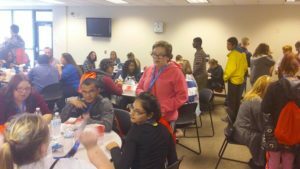 Disability Network West Michigan in partnership with Michigan Rehabilitation Services had its very first, successful DisCOVER YOUTH TRANSITION CONFERENCE at the Newaygo County Education Service Center. 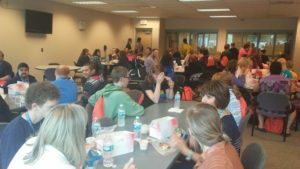 There were over 60 students from Newaygo, Fremont, White Cloud and Hesperia in attendence. 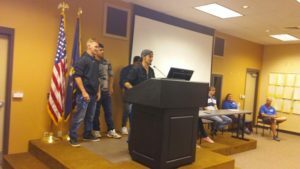 Our thanks to all involved including Juan Herrera, owner of Sweet Tire; Ben Post, MRS Youth Counselor; Andrea Scheidel, Secondary Special Education Supervisor & Transition Coordinator, NCRESA; Amanda Van Tubergen, Employment Navigation Guide DNWM; and our wonderful youth panelists Jordan, Brandon and Ann. 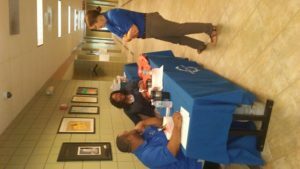 Thank you also to our Youth Transition Team, Danielle Bennett, Ja-Relle Thomas, Leslie Green and Nate Tabler for helping make this all possible.